1) A few days ago, I sent out info from ITRON that refutes the many statements by BC Hydro and ITRON saying that there is only a second or less of emissions a day, showing there are up to 115 minutes a day. Now we have information that ITRON and BC Hydro are lying about the power density (the amount of radiation emitted). Here is a document submitted to the US Federal Communication Commission which shows the power density levels admitted to the FCC. They are dramatically different from the levels given in BC Hydro material. We cannot trust one thing ITRON or BC Hydro has told us about these things. 2.4GHz Zigbee: 0.031 (mW/cm^2) = 31 microwatts per centimeter squared. SC 6 limits allow 535. TOTAL: 0.258 (mW/cm^2) = 258 microwatts per centimeter squared. I believe the lower frequency limit is used in situations like this. This is 94% of SC 6 allowable limits. 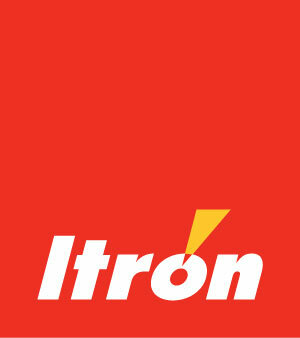 yet a smart meter is exposing us, by ITRON’s own admission, to many hundreds of times higher amounts. 2) A member found this excellent letter about EHS from Dr. Riina Bray, Medical Director of Environmental Health Clinic of Women’s College Hospital, Toronto, presented to Parliament’s Health Committee. “EHS is characterized by these signs and symptoms, which occur due to prolonged exposures at home, work, or school, and abate when the person has been removed from that environment. Depending on the extent of disability, the symptoms can come on in one to five minutes and require the patient to take time off work or school in order to recuperate sufficiently. We have noted that it can take up to one day to recover, although recovery is sometimes much faster, such as a few minutes, depending on the health of the individual. The question that continues to alarm me is this. What of those who have not yet become sensitized, or those who are unwell but have not realized it is the EMFs provoking the problem and continue to try to function in an environment where the electrical and magnetic fields are high? Multiple Wi-Fi hubs, laptops, and cellphones all in one space can reach levels of over one million microwatts per metre squared. This has been measured in a high school from the proximity of an adjacent classroom. The electrical field would be greater than 107 microwatts per metre squared in that occupied classroom. 3) Please put this press release on your Facebooks, share it widely. The “Right to Know” what the industry has to say in its cell phone manuals, is being fought by the industry, and one of the judges is in a position of potential conflict of interest – her husband works in the industry. If this law is rejected, we may never be able to have a similar law in Canada. People do have the right to know. Let’s make this go viral. 4) An excellent letter that deserves supportive comments. I hope you will consider writing one. 6) Several of us received a form letter from Tim Singer of Health Canada in response to our letters of many months ago. I have yet to respond but Jerry Flynn has written back and his response is below, as is the form letter from Health Canada. If you respond, I hope you will allow me to share. Health Canada is a major obstacle in our battle to improve the safety of our homes and schools. Its Safety Code 6 allows the provincial authorities like Dr. Perry Kendall to do nothing to reduce the microwave radiation levels – worse, it allows him to misinform and encourage Wi-Fi in schools and smeters on our homes. We must put pressure on Health Canada via our MPs who must be made aware of these dangers. This is the sort of drivel/untruths Health Canada has always provided to assuage any public concerns about EMFs! If you honestly believe that boilerplate drivel you sent me (below) – on behalf of the Prime Minister, in response to my April 16, 2016 letter to the Prime Minister – then you, sir, are a major part of Canada’s worst-ever problem today: man-made EMFs! * The ‘safe’ radiation Exposure Limits for RF for Health Canada, ICNIRP and the WHO were all established, essentially, by the same corrupt scientist – Dr. Michael Repacholi? * This same scientist, Dr. Michael Repacholi, also invited 8 electric power industry representatives to help him, on behalf of the WHO, to establish ‘safe’ Exposure Limits for ELF or Powerline EMFs? In doing so, he declined to invite a single independent scientist while also banning the media from attending his meetings? * This same Dr. Michael Repacholi is on record admitting that he had accepted $150,000 annually from industry while he functioned as the WHO’s Co-ordinator of its 10-year, $250-million International EMF study? * It is known that Health Canada, the WHO, ICNIRP, IEEE/FCC all protect ONLY against THERMAL EMF and deny that NON-thermal EMFs can be harmful to humans and other living things? * In 2013, Health Canada’s own Dr. James McNamee stated in a Quebec Superior Court that SC6 protects only against THERMAL EMFs for frequencies ranging from 100 kHz to 300 GHz? * All of today’s consumer wireless products/devices and ‘smart’ meters and ‘smart’ appliances ALL produce NON-thermal EMFs? Emitting millisecond pulses at that! * 220 of the world’s expert EMF scientists from 41 countries have signed the International EMF Scientist Appeal, urging the UN, all UN-member countries and the WHO to: “Protect Mankind and Wildlife from EMFs and wireless technology”? * 53 EMF scientists from 18 countries condemned SC6 and urged Health Canada to intervene to prevent an emerging health crisis? 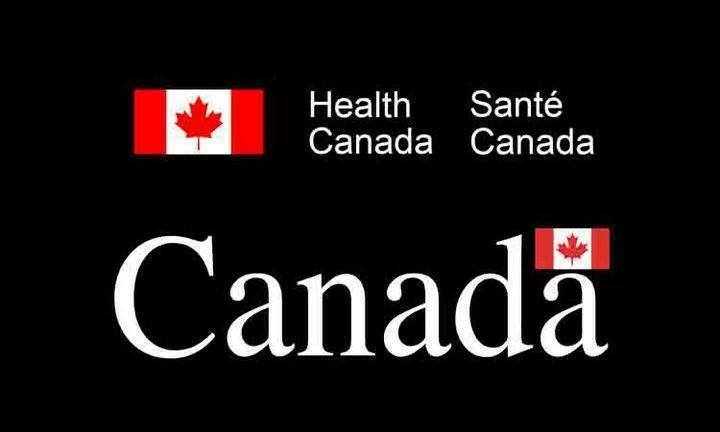 * 55 Canadian doctors condemned SC6 and called on Health Canada to protect Canadians from RF exposure? * A leaked draft US EPA report in 1990 recommended that RF EMFs be classified a Probably Carcinogen? * In 1999, the US Consumer Affairs Commission declared that current guidelines are irrelevant as cancers and Alzheimer’s are associated with NON-thermal EMFs? * In 2002, the US EPA openly criticized the FCC, ICES and ICNIRP (whose Exposure Limits were similar to those of Health Canada and the WHO) as they were based only on THERMAL EMFs, which provide no protection to the pubic who are continuously exposed to NON-thermal EMFs? * The 2006 Benevento Resolution, signed by more than 40 EMF experts from 16 countries who called for the imposition of the Precautionary Principle to prevent an emerging potential public health issue? * In 2008, the ICEMS called for the global application of the Precautionary Principle, saying that the world’s exposure limits are inadequate as they protect only against THERMAL EMFs? * The BioInitiative 2007 Report, which, had Canada complied, would have lowered SC6 10,000 times? * In 2008, the European Parliament accepted the premise of the BioInitiative 2007 Report, saying they were greatly concerned that today’s exposure limits are obsolete? * In 2011, the Council of Europe (47 countries, 800-million people) urged all its members to ‘reconsider’ (i.e. break from) ICNIRP and WHO (which are virtually identical to Health Canada’s, ICES’ and FCC’s) and apply the ALARA principle (As Low As Reasonably Achievable)? * In 2011, the Council of Europe and European Parliament recognize for the first time the biological effects of EMFs on plants, animals and humans, and said that the need now is to protect humans, especially pregnant women, embryos and children from EMFs? * The 2012 International Doctors’ Appeal, signed by well more than 1,000 German doctors, demanded overdue protection? * The 2012 BioInitiave Report (29 authors including 21 PhD, 10 Medical experts from 10 countries) concluded that both RF and ELF (Powerline) EMFs are ‘human’ or ‘known’ carcinogens? * Between 1993 and 2013, at least 81 governments or organizations banned or warned against wireless technology? * Health Canada’s former senior EMF scientist, Dr. Art Thansandote is still Co-Chairman of the USA’s military-led sub-committee 4 which determines the US’ Exposure Limits (which are then adopted by the FCC, who then publishes them as if they, the FCC, had determined them)? Dr. Thansandote has held this position for at least the past 10 years! * Health Canada’s current senior EMF scientist, Dr. James McNamee (the same one who appeared in the Quebec Superior Court in 2013, above) is also a long-time member of this omnipotent US-military-led SC-4, with Dr. Thansandote. Industry Canada also has members on this committee. * In 2014, the US Dept. of the Interior attacked the FCC’s Exposure Guidelines saying they are 30 years out of date and obsolete? * In 2015, France broke from ICNIRP and WHO to create its own radiation regulatory agency and immediately banned Wi-Fi from all kindergartens in the country? The Government of France also urged all other schools to turn off their Wi-Fi when not actually in use! * In 2015, more than 50 of Canada’s top scientists bonded together urging Health Canada to alter (lower) its SC6 regulations, but Health Canada has shown no inclination to listen? * And, finally, Insurance companies refuse to provide liability insurance for any wireless device against lawsuits alleging health problems attributed to wireless devices? I have been researching, studying and writing on EMFs for more than eight (8) years now. I have also accepted invitations to speak publicly on this subject in 25 communities throughout BC. So, please, do not ever again insult me. By doing so, you accomplish nothing but embarrassing and making a fool of yourself! I am writing in response to your e-mail of April 14, 2016, concerning exposure to radiofrequency (RF) electromagnetic energy from wireless devices, which was forwarded to me on April 23, 2016, by the Office of the Prime Minister. I regret the delay in responding. Health Canada is committed to protecting the health and safety of Canadians. The Department’s mandate regarding human exposure to RF electromagnetic energy from wireless devices is to carry out research into possible health effects, monitor the scientific literature related to such effects on anongoing basis, and develop exposure guidelines, such as the recently updated Limits of Human Exposure to Radiofrequency Electromagnetic Energy in the Frequency Range from 3 kHz to 300 GHz – Safety Code 6. Wireless communications equipment is regulated by Innovation, Science and Economic Development Canada (ISEDC). To ensure that public exposures fall within acceptable guidelines, ISEDC has developed regulatory standards that require compliance with the human exposure limits outlined in Safety Code 6. Safety Code 6 takes into account scientific data from studies carried out worldwide. When developing the exposure limits in Safety Code 6, departmental scientists consider all peer-reviewed scientific studies and employ a weight-of-evidence approach when evaluating possible health risks from exposure to RF energy. This approach takes into account both the quantity of studies on a particular endpoint and, more importantly, the quality of those studies. Poorly conducted studies receive relatively little weight, while properly conducted studies receive more weight. Safety Code 6 was most recently updated in 2015. The limits recommended for general public exposure to RF energy are designed to provide protection for all age groups on a continuous basis. Based on a thorough review of all available data, there is no scientific evidence of health effects at levels below the limits outlined in Safety Code 6. This conclusion is similar to that arrived at by the International Commission on Non-Ionizing Radiation Protection, the European Commission’s Scientific Committee on Emerging and Newly Identified Health Risks, and the World Health Organization. The Department’s updated Safety Code 6 makes Canada’s limits among the most stringent science-based limits in the world, and is consistent with the science-based standards used in other parts of the world, including the United States, the European Union, Japan, Australia, and New Zealand. Large safety margins have been incorporated into these limits to provide a significant level of protection for the general public and personnel working near RF sources. 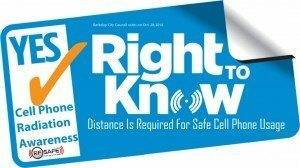 Internationally, while a few jurisdictions have applied more restrictive limits for RF field exposures from cell towers, there is no scientific evidence to support the need for such restrictive limits. Health Canada scientists are familiar with the BioInitiative Report to which you refer. This report is considered to be an advocacy document that does not contain any new scientific data and presents an unbalanced review of the scientific literature, as it excludes numerous studies that are not supportive of the Report’s conclusions. A detailed review of the document shows a number of weaknesses, including internal inconsistencies amongst the various chapters. The report recommends precautionary limits for human exposure to electromagnetic fields (EMFs) that are much lower than the internationally recognized exposure standards which are based on established effects, yet presents no clear rationale to support these exposure limits. Based on these and other shortcomings, Health Canada concludes that the report does not provide any grounds for revising our current views on EMF health risk assessment. 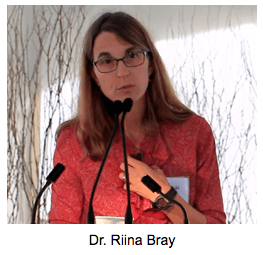 As you are likely aware, on June 15, 2016, the House of Commons Standing Committee on Health presented the report entitled Radiofrequency Electromagnetic Radiation and the Health of Canadians. We are carefully reviewing the recommendations in the report and are preparing a response. While some of the recommendations reflect practices currently undertaken by Health Canada, other recommendations were directed at organizations other than the Department. Health Canada has shared the report with these organizations as appropriate. It is Health Canada’s position that the health of Canadians is protected from RF energy when the human exposure limits recommended by Safety Code 6 are respected. Safety Code 6 has always established and maintained a human exposure limit that is far below the threshold for potential adverse health effects. I hope that my comments are helpful in addressing your concerns.